When Chalice sets off for Branbury in the middle of the night with her grandfather's instructions, she has no idea of the dangers that await her. The King's men have destroyed her home village of Canton and she is suddenly thrown into a Terravailian world that she does not know. Lost and alone, she is hard pressed to evade the iron grasp of the madman who rules the land. 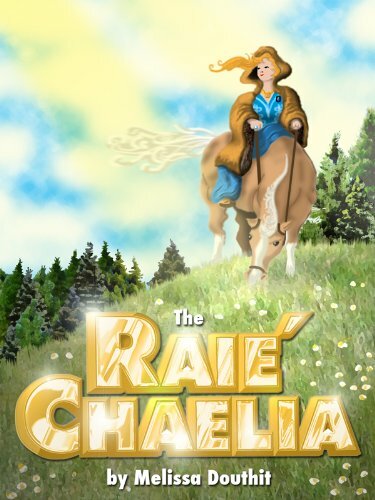 With the help of a friendly Chinuk, an old man, and a book that she discovers along the way, not only does she find true friends and true love, but she also finds her true self and what it means to be the Raie'Chaelia. When I first started this book I was convinced I would not be able to finish it and give it a fair review. For me, the prologue was slow-going and didn't really grab my attention. Once I got into Chapter 1 and read about Chalice, and I was hooked. The books starts with her on the run, and continues fast-paced from there. She meets many people that are crucial to both her journey and the story at large, and learns shocking truths about herself and her family. I did not realize this was a trilogy, so I was devastated by the huge cliff hanger this book leaves. Book 2 doesn't release until next month, and I'm so ready to read it! There are currently two prequels released, both for free on Smashwords here and here. I received this book free for review for a blog tour promoting the author. I was not required to give a positive review, simply an honest one.